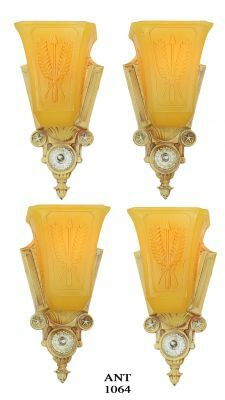 One of two fantastic Art Deco LARGE sconces made from solid brass/bronze with a fine cut glass shade. 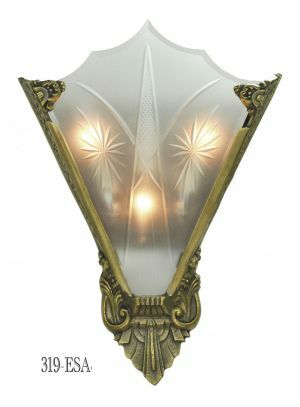 And yes...the shade is beveled as well. 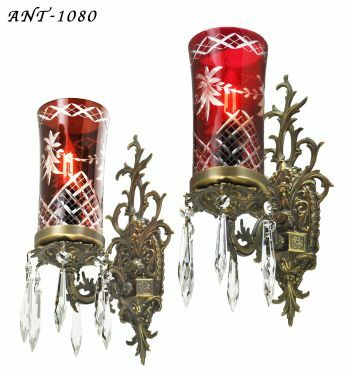 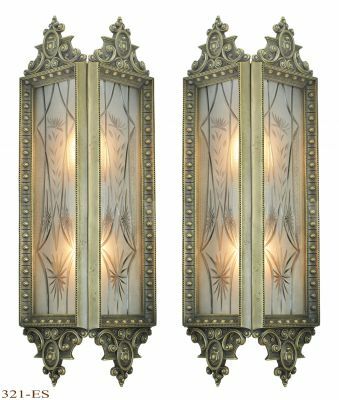 The only difference between these two great sconces is the cut shade pattern, so please...carefully select the pattern of your choice between the “A” version and the “B” version. 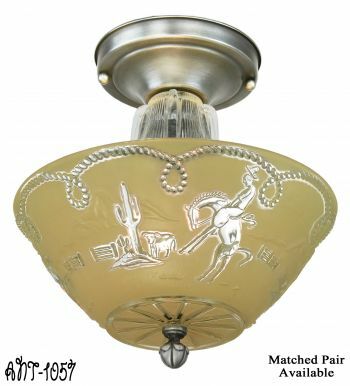 We find both attractive. 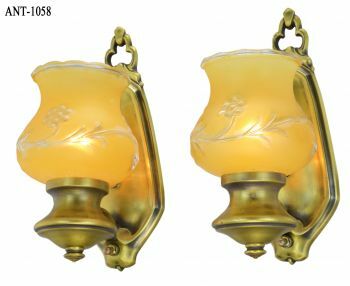 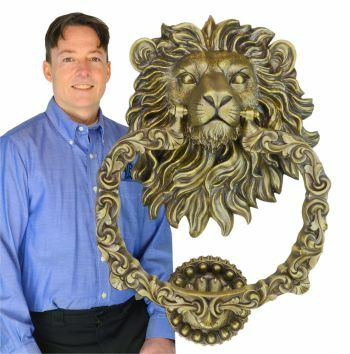 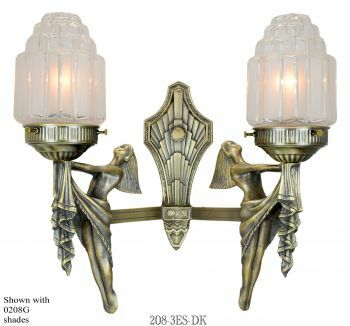 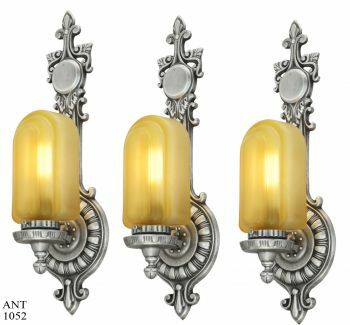 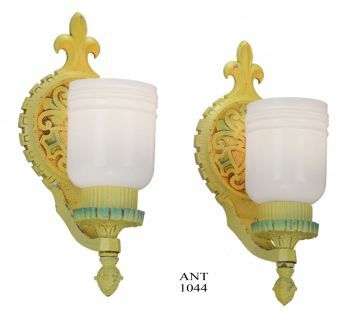 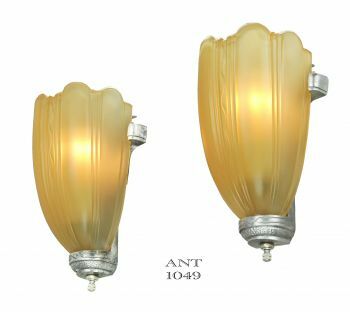 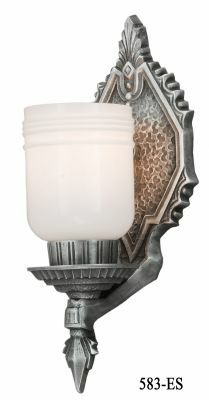 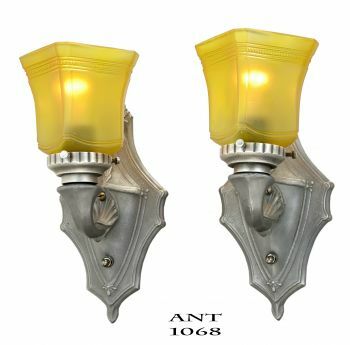 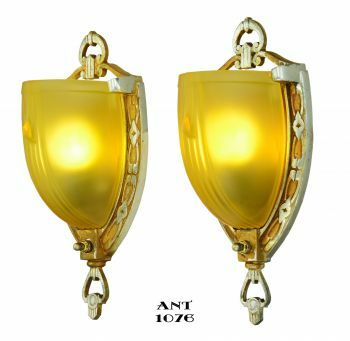 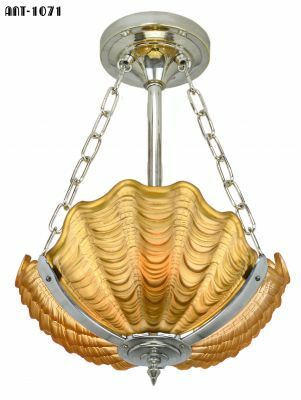 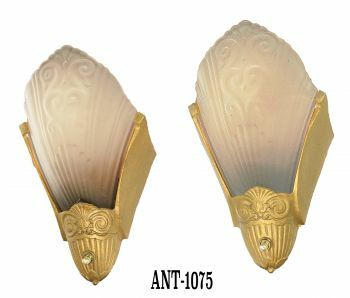 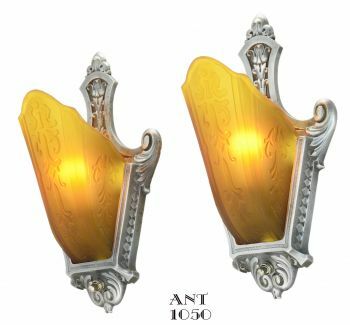 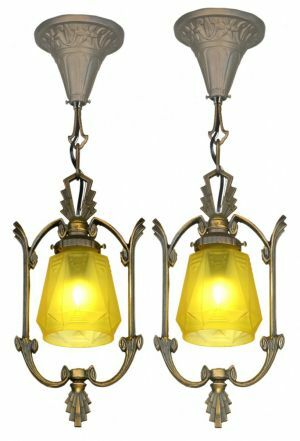 We normally antique this fine sconce (as shown) for a pleasing effect, but other finishes...such as Satin Brass...or Oil Rubbed Bronze...and even Red Bronze are available. 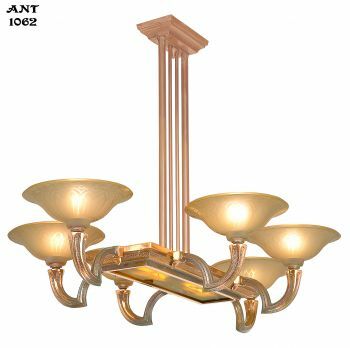 A polished brass finish might be a delay due to the popularity of the other finishes. 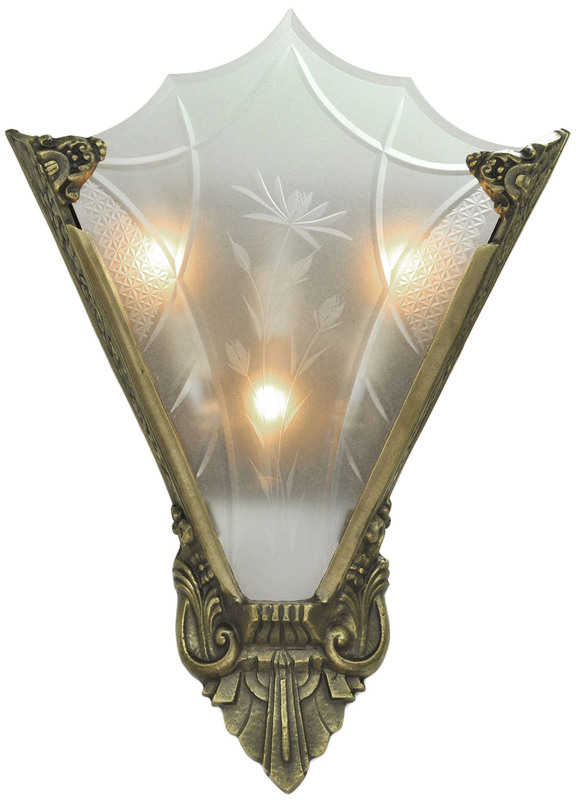 Height: 15” tall, from the top of the glass to the bottom of the metal case. 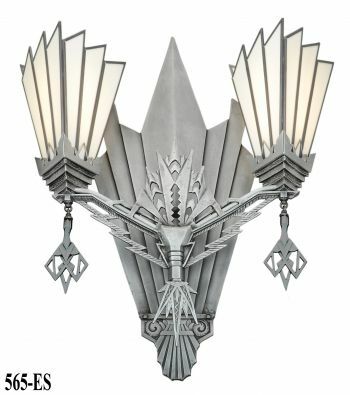 Projection: a mere 3 ½”, so this sconce is fully ADA compliant. 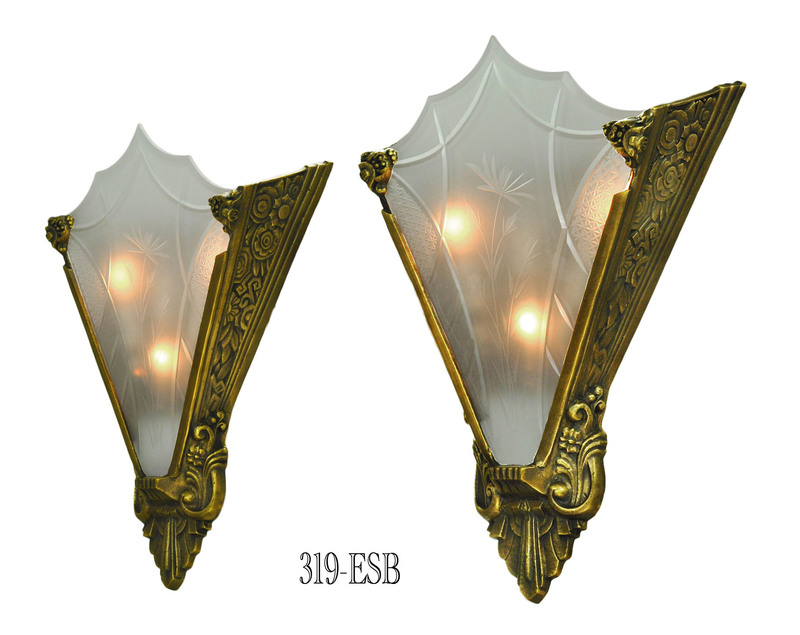 Wired UL certified with three chandelier based E-12 sockets in a nice pattern for a nice lighting affect. 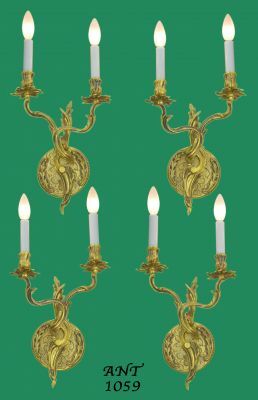 We recommend candle-shaped LED bulbs (sold separately), which are a very effective and attractive lighting condition. 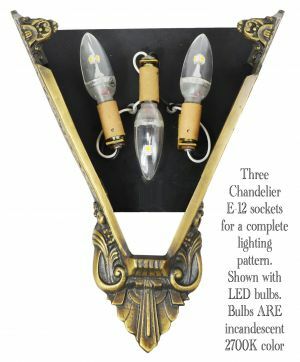 Each bulb is considered equal to a 25 watt incandescent bulb...while only using a combined total of 7 watts. You can purchase E12 base LED bulbs from us, or a similar bulb at your nearest hardware store. 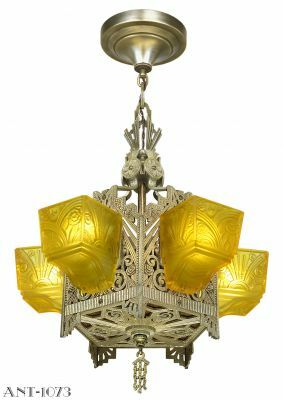 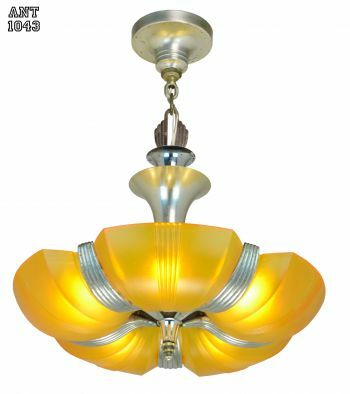 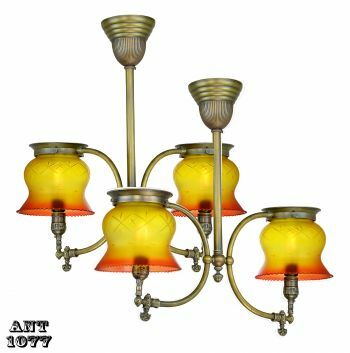 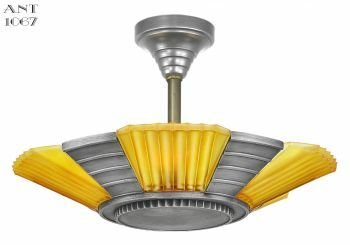 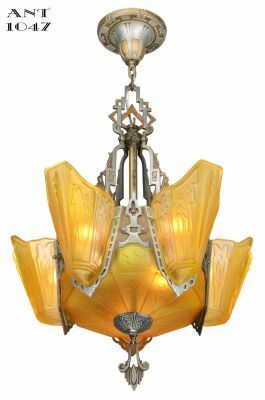 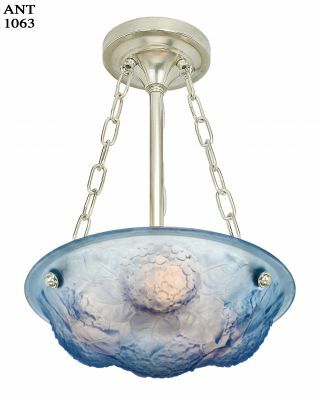 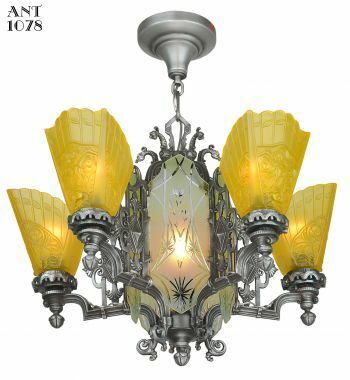 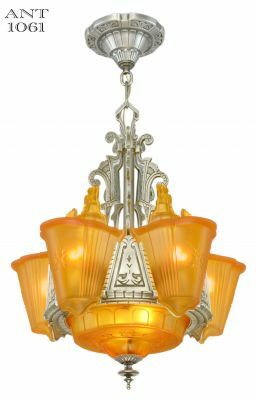 Sold by each, complete with the glass shade: $575.00 each, plus shipping.